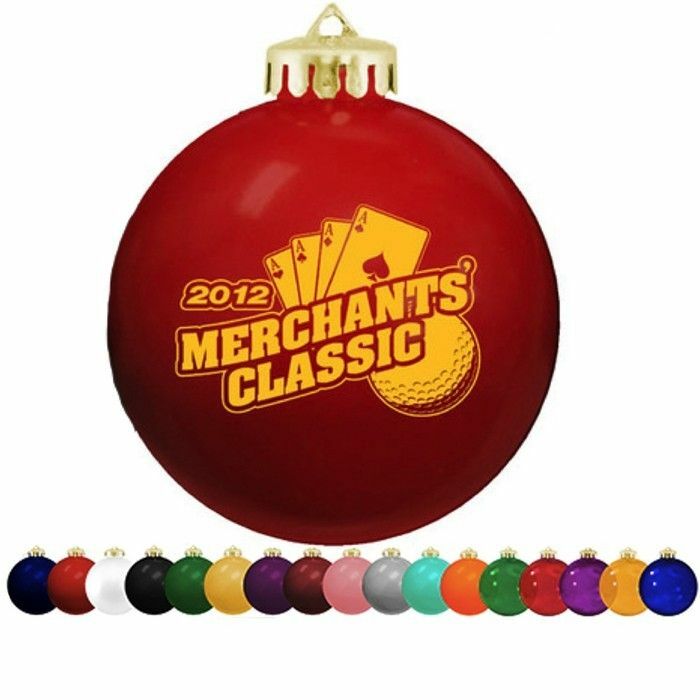 Durable shatterproof ornaments are available in 10 vibrant colors. Made in the USA from shatterproof plastic material. Imprint Area 2" in Diameter; full color: 1 3/4" diameter. Setup Charge $20.00 per ink/per color. 2 side imprint max. $35.00 Full Color print. Order was right on time and product (2 color) beautiful. Love the boxes and the fact they are ready to distribute right out of the carton. Production and shipping time within the time allotted. We love the Customized Ornaments! Good Morning, The ornaments came in yesterday and they look wonderful. Everyone is very pleased with them and we can’t wait to hand them out to our guests…they will love them. Gizi looks so cute! Thank you so much.